Two Saturday Night Live alums deliver one unforgettable night of stand-up! 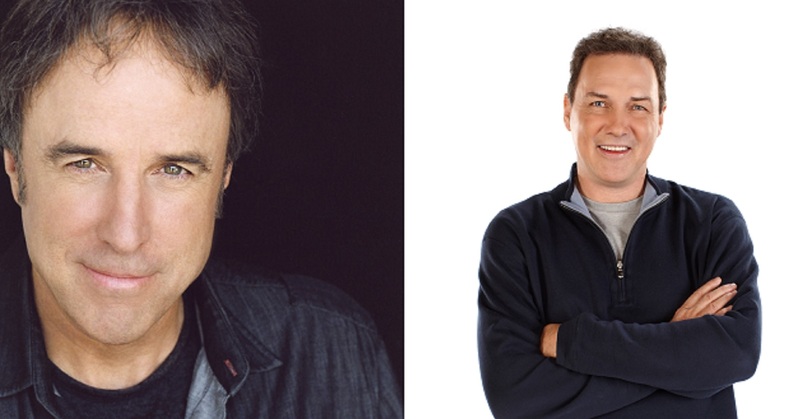 Kevin Nealon, who had a nine-year stint on “SNL”, starred on Showtime’s hit series “Weeds” and Norm Macdonald, who spent five seasons on “SNL”, was named one of the “100 Greatest Stand-ups of All Time” by Comedy Central. Kevin Nealon sets himself apart from other comedic performers with his unique sense of humor, dry wit and likeable demeanor. Nealon is best known for his nine-year stint as a cast member of NBC’s Saturday Night Live, and has received critical acclaim for his role in the Golden Globe-nominated Showtime series, Weeds. Nealon has found great comedic success in his extensive film career. His film credits include Anger Management, Eight Crazy Nights, The Wedding Singer, Happy Gilmore, You Don’t Mess with the Zohan, Joe Dirt, Daddy Day Care, Good Boy, Roxanne and the cult hit Grandma’s Boy. As one of the longest running cast members on NBC’s Saturday Night Live (1986-1995), Nealon created some of the show’s most memorable characters, including ‘The Subliminal Man’ and ‘Hans and Franz.’ Nealon’s reoccurring role as an anchor on ‘Weekend Update’ made the sketch a show staple. In 1988 Kevin earned an Emmy Award nomination as part of the SNL writing team. Norm Macdonald is perhaps best known for his five seasons as a cast member on “Saturday Night Live” (SNL). For three years Macdonald anchored “Weekend Update”, SNL’s longest running recurring sketch. Macdonald also wrote for the popular ABC sitcom “Roseanne” and starred in “The Norm Show” from 1999 to 2001. Comedy Central named Macdonald #83 on the five part miniseries “100 Greatest Stand-ups of All Time”. Aside from his notable characterizations of Bob Dole and Burt Reynolds, Macdonald proved that his acerbic wit and writing were not contained to the small screen. His film credits include Dirty Work, Dr. Doolittle, Billy Madison, The People Vs. Larry Flint, Man on the Moon, Screwed and Grown Ups. Macdonald was featured in the one-hour Comedy Central stand-up special, “Norm Macdonald: Just Me Doing Stand-Up.” In addition, he replaced Gabe Kaplan as commentator on the seventh season of “High Stakes Poker” on GSN.